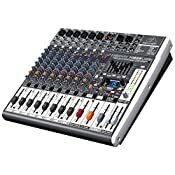 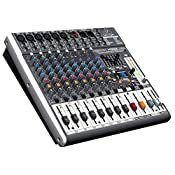 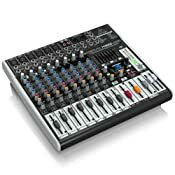 The X1222USB is a step up from the X1204USB with six mono mic inputs. 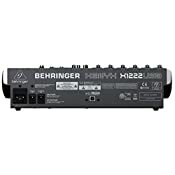 These two additional channels can also be used for stereo line-level devices, such as keyboards or sound modules. 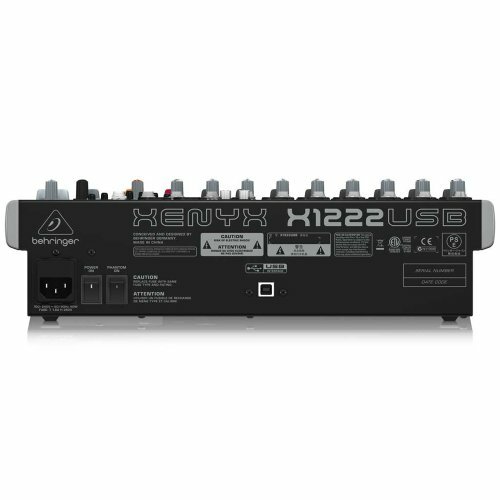 The X1222USB also comes equipped with channel Inserts for inputs 1-4, a stereo 7-band graphic EQ, which can be assigned to the main or monitor buses, and our proprietary FBQ Feedback Detection System. 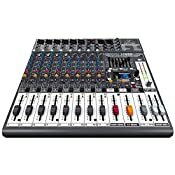 Other features include full-sized faders for MON and FX SENDs, our XPQ 3D stereo surround effect (creates a broader, enhanced stereo image), and a handy Voice Canceller function for removing vocals from pre-recorded tapes and CDs for "instant-karaoke" applications.